If you’re in the Navy or elsewhere in the defense space, Larry Bond most likely influenced your pursuits. Whether you’ve poured over one of his explosive techno-thrillers co-authored with Chris Carlson or spent hours trying to break the GUIK gap in their classic Harpoon war game, Bond and Carlson have most likely fed your intellectual interest in defense issues while keeping you entertained. Larry Bond and Chris Carlson joined me to discuss a wide range of topics, including their recently published Red Phoenix Burning (reviewed by CIMSEC here), the growth of the techno-thriller, war gaming, distributed lethality, and their favorite books. BP: You wrote Red Phoenix, your second book after co-writing Red Storm Rising with Tom Clancy, nearly 25 years ago. What drew you back to the same fictional universe and Korean conflict with Red Phoenix Burning? In the 1980s, the threat was all about the DPRK, with one of the largest armies in the world, invading the south. They’d done it once, and would certainly do it again if they thought they could get away with it. But since then, the North has suffered terribly under the Kims. It may be that any closed society, so utterly corrupt, will eventually weaken and fail, and that’s a much more likely scenario these days. Red Phoenix Burning isn’t about an invasion of the south, but a collapse of the north, creating a humanitarian crisis as frightening as a military one. In Red Phoenix, besides some of the special forces raids, much of the air and ground combat seemed conventional? How is Red Phoenix Burning different? What drove these decisions? The battle scenes in Red Phoenix were keyed to what most people call a “conventional” war: WW II with better weapons. There are actually very few pitched battle scenes in Red Phoenix Burning; much of the fighting happens off-page. It’s the consequences of those battles, especially the fighting in Pyongyang, that forces the characters to act. You’ve written/co-written quite a few techno-thrillers featuring large conventional conflicts in Central Europe, Eastern Europe, South Africa, the Korean Peninsula, and more. What drove you to write about the Korean Peninsula, especially after you have already done so once? My co-author Chris Carlson has discussed this scenario with South Korean intelligence officials, and it’s one of their biggest concerns. We liked the characters in Red Phoenix, but really never planned a sequel back then, because who would want to read about a third invasion? But what about something as unexpected as a coup that leads to a North Korean civil war? Your readers often praise you for the extensive research that goes into your books. As you’ve already written about a Korean conflict 25 years ago with Red Phoenix, in terms of the tactical and strategic security threats, what are some of the most significant changes you have observed? Larry Bond’s highly praised 1989 release, Red Phoenix. The more we learn about North Korea and the regime that rules the country, the more it sounds like an organized crime family, and less like a government. In Red Phoenix we depicted the regime as a Stalinist dictatorship, but still a recognizable government. Revelations about institutional counterfeiting and drug manufacturing, as well as arms smuggling and money laundering, show that the regime will go to any length to get foreign exchange, which flows not to the citizens, but to the top leadership. And, of course, the big new strategic threat is North Korea’s nuclear weapons capability. Although it is still nascent, any nuclear capability changes the very nature of a conflict in the region significantly. What’s been the reaction out of South Korea, and DPRK, to your past work and what do you expect from Red Phoenix Burning? We’ve never heard from any Koreans about the story, but I’ve personally spoken to a lot of U.S. service members who tell me the book was almost required reading for American military in the theater. They’re polite enough to avoid mentioning whether it’s for comic relief, but they’re reading it. In Red Phoenix, the North Korean regime did not possess nuclear weapons. However, as Red Phoenix Burning takes place in the modern day with the North Korean regime maintaining a small arsenal of nuclear weapons, how does this impact the conflict in the novel—without giving away too many spoilers. The North’s possession of nuclear weapons is a complete game changer, as it is in any conflict. The fact that there are so few, of questionable reliability, and with primitive delivery systems, doesn’t change the basic fact that they can cause untold casualties. Indeed, because they have so little military utility, they would probably be used as terror weapons. The North Koreans also have a lot of chemical weapons, which can be almost as horrible, and the regime is irresponsible enough to use them. You’ve been authoring techno-thrillers for a very long time, Tom Clancy called Larry the “new ace” of the techno-thriller genre. What are your opinions on how the genre has evolved from its origins now that information is widely available and civilian technology outstrips military innovation? Where do you think it will go? Information is much easier to find now, not just about weapons, but settings, organization, all kinds of useful stuff. This can mean a lot more detail, which is not necessarily a good thing. It can provide more depth, or even a plot angle that you might not have known about before. It’s a given that people reading military thrillers enjoy the action and the hardware, but you have to provide a solid story, with realistic characters, or it’s just bullets whizzing back and forth to no purpose. We’ve seen a recent trend in which defense analysts and thinkers have explored how fiction can better inform real-world debates on national security issues. What role do you think fiction plays in this discussion? What are its strengths and limits? Having read a fair number of security papers and monographs, presenting information as a fictional scenario can engage the reader’s interest and improve comprehension, as well as getting your idea to a wider audience. The use of fiction to present a military-related argument goes way back. While General Sir John Hackett’s the Third World War (1979) was a recent example, there were books written in the 1920s (Bywater’s The Great Pacific War, 1929) and well before World War I (The Battle of Dorking, Chesney, 1871) that described a major conflict between nations. All these authors had things to say about the military, and used fiction as a way to share their thoughts. When an author puts together a plot, he/she pretty much knows what happens and when. Since we have a pre-established ending in mind, some of our assumptions and plot twists seem brilliant to some readers, but contrived to others. But it is the discussion on these points that has the potential of producing the greatest fruit, as it forces the investigation of alternative possibilities. Following off of the previous question, it was recently revealed that Ronald Reagan advised Margaret Thatcher to read Red Storm Rising, which you coauthored with Tom Clancy. When you first learned of this, what was your reaction? I hadn’t heard about that before. I hope it’s true. The most interesting story I heard about the influence of RSR was that the Icelandic government renegotiated its treaty with NATO. The old one was cumbersome, with even the smallest change to NATO’s forces (e.g., reinforcements) requiring approval by the Foreign Minster. Also, the Naval War College asked for my write ups of the wargames we played to research Dance of the Vampires, a chapter in the book. One characteristic that separates your work from others is how you account for a wide range of factors, not just limited to military ones, but also political and economic aspects. Can you describe how you go about accounting for all of these factors and storyboarding? We both feel that factors like politics and economics are what drive and provide the goals to military actions. While you can write very good fiction about the guy in the foxhole, we want to show the higher-level decisions (and mistakes) that give readers the big picture. As we plot out the book, we stop at each dramatic beat and ask ourselves how each player would react, and indeed, do any new players need to appear. All of this requires that we read a lot on the countries of interest in a particular novel we’re working on. It’s not uncommon to find us pouring over books, think tank articles, professional journals, or talking to academics about aspects of our plot. The trick is to provide the reader enough background to show how politics, economics, and war are related, but not so much that we get into the weeds with detail—especially as many of these details are hotly debated within government and academic circles. You have an extensive history of co-writing books. As they entail large, complex geopolitical and military subjects, can you explain how the cooperative process works? Any working tips for creative partnerships? Co-writing definitely takes more effort than solo writing. I like it because there’s someone to bounce ideas off of, and to go “Auugh” with when you’re behind schedule. We’re systematic, first creating a treatment that the publisher signs off before we get a green light. That gets turned into a chapter-by-chapter “blocking.” Since we’re keeping track of multiple plot threads, often in different parts of the world, it’s mandatory if you don’t want to tangle up in each other’s prose. After the blocking is finished, we can take alternate chapters and start gluing words together. We then review each other’s work, hash out any differences, and move on. And, no, it doesn’t constrain the creative juices between us. We’ve both surprised the other by a slight plot twist that emphasizes a character trait in one of our heroes, or even a villain. Character growth is something we really try to deliver in our writing. How has your research process changed from Red Phoenix to Red Phoenix Rising? The Internet is the most obvious change, and is good not only for looking up military details, but grammatical rules. I didn’t sleep through my 7th grade English class, but being able to quickly look up the proper way to use a semicolon, or how to spell “Kyrgyzstan” is a definite help. Equally powerful is Google Earth. Being able to look at satellite imagery of the terrain you’re writing about is a great aid. Especially as hand-held photos of specific objects, buildings, streets, parks, etc, are keyed to the area you’re looking at. It’s very true that a picture is worth a thousand words. The bottom line is don’t make things up unless you have no other choice. Accurate descriptions resonate with readers, and this helps them to become more involved with the story. Bond’s first law of research is that it’s easier to describe the real world than it is to make something up, and then have to keep it straight in your mind. 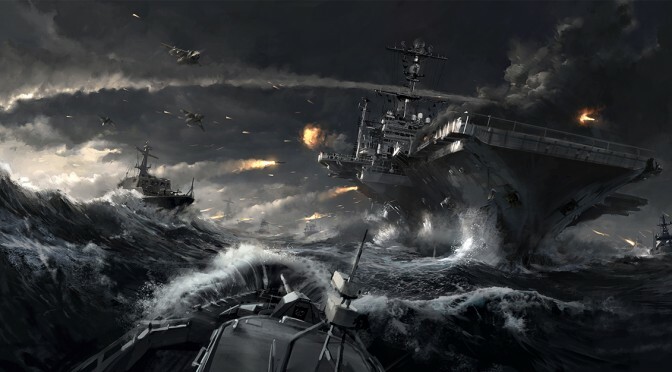 As the creators of the Harpoon series, you both have extensive wargaming experience as well. What role does this play in your fictional writing? A good wargame tries to tell a story, usually about a specific historical event, but it is still a story. After board games and miniatures on a terrain board, something called “role playing” appeared in the 1970s. Most of the players assume fictional identities in some fantasy motif, be it an elf, mage, or whatever, but one player, the referee, tells the others the setting and what they see and hear. The players describe their actions to “the ref” who adjudicates their actions and describes the results. It’s interactive storytelling, with a heavy dose of improvisation thrown in. It’s great practice. Other things that wargaming has provided is a general sense of history and the military’s role, and also the wide range of results that are possible from replays of a single battle. For the two of us in particular, designing wargames help us understand the basics of how some military piece of equipment works as part of a larger force. We also know where some of the skeletons are buried, like why a system didn’t work as advertised, and we can pull them out of the closet when we need a neat twist in the plot. There has been a fair amount of recent commentary on some of the challenges with wargaming, and where it should go. What are your opinions on this? Commercial wargaming is a recreational activity, and fashions come and go in any industry. There’s a constant demand for innovative products, which can create not just new games but entire new genres. Miniatures games go back well before H.G. Wells’ book Little Wars, and board games to Kriegspiel in the 1870s, but in recent times we’ve added role-playing, computer games, collectible card games, and LARPing. Grabbing the players’ interest (and his dollar) will be a constant struggle. From our own personal experiences, wargaming has a fantastic training and education capability. We’ve watched more “light bulbs” go on when players start to understand and appreciate a particular historical situation. A good game brings history to life and is far more instructive than just reading a dusty textbook about a particular battle. Wargaming, done properly, can be very useful for basic familiarization, looking at alternative courses of action, even analysis. The concept of wargaming is currently on the upswing, but we’ll have to see if this new appreciation is a true change in perception, or just a fad. Recently, we have seen countries leverage irregular maritime forces and other unconventional methods. From a wargaming perspective, can you describe how you account for these different challenges? They’re difficult to model in a conventional “force-on-force” game. Usually, one patrol craft plus one narco-boat equals one drug haul. The trick when there’s little random chance in the encounter itself is to model some other part of the process: investigation or detection, for example. The designer has to have a clear picture of the game’s goal. Is it simply to understand the narcotics problem? Or are they evaluating alternative strategies for enforcement? Due to this maritime security forum and the fact that you both have Navy backgrounds, I have to insert a Navy question here. In terms of future procurements, operating concepts, doctrine, etc., what excites you about the future? Railguns? Lasers? Distributed lethality? Why? Unfortunately, railguns and lasers are still more science fiction than fact. I equate the first “operational ” laser aboard USS Ponce with the first aircraft flight from a warship by Eugene Ely in 1911. The nature of lasers and railguns will prevent them from replacing other major weapons systems for a long time, if ever. Missiles, as useful as they are, never completely replaced guns. For example, railguns have tremendous speed, but you actually have to hit the thing you’re shooting at. They don’t have proximity fuzes the way gun projectiles do. Minor angular errors in aiming become miss distances that increase with range. Small guns deal with this issue by keeping the range short and using rapid fire, but is that what railguns are supposed to be doing? We don’t think so, given the barrel life issues railguns have to overcome. Also militarily effective railguns and lasers require huge amounts of power, something that is still under-appreciated in ship design. It’s going to take some time, and a lot of money, to solve both the system and ship-based issues before these new systems are widely deployed. Distributed lethality is an interesting idea, but most of the articles sound a lot like a Dilbert cartoon with too many buzzwords. The Soviet Navy first implemented a crude capability back in the early-1970s, which has since matured to the third generation “Mineral” system. The Chinese Navy purchased, reversed engineered, and fitted Mineral on many of their surface combatants (Type 054A FFGs, Type 052C and 052D DDGs). Despite the favorable press given the long-range Tomahawk shot, or the recent SM-6 anti-surface mode demonstration, there is still no discussion on how these weapons are to be targeted. There appears to be an unspoken assumption that the information will just be there when needed—not the best of assumptions. The real drivers these days are stealth and electronic warfare. Both relate to finding the enemy, or preventing him from finding you, which is still the most important part of a fight at sea. Since asking what your all-time favorite books are is too hard of a question, what are some of your current favorite books? Larry: I’ve read couple of really good general naval history books lately. The Second Pearl Harbor, by Gene Salecher tells about a little-known fire and explosion aboard navy sips preparing for the invasion of Saipan. Combat Loaded is the story of a single amphibious assault ship, USS Tate, from her commissioning through and after WW II. Both were fun reads. I gave both good reviews in the October issue of ATG’s newsletter, The Naval SITREP. Chris: I’m a huge fan of technical histories, and have just about everything written by Dr. Norman Friedman, although a recent book, Fighting the Great War at Sea: Strategy, Tactics and Technology, is my current favorite—but that will probably change when I start reading his new British battleship book. I also enjoy good general naval histories as well. And although Arthur Marder has come under attack by contemporary revisionist historians, his five-volume set, From the Dreadnought to Scapa Flow, on naval warfare during WWI is still one of the best histories out there and fortunately, now back in print through the U.S. Naval Institute. 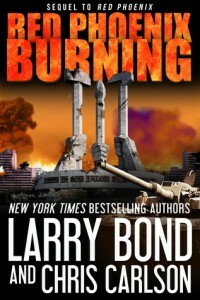 Larry Bond and Chris Carlson are the bestselling authors of the Jerry Mitchell series, Lash-Up, and now Red Phoenix Burning. 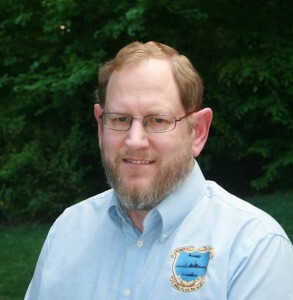 Larry and Chris are the lead designers of the Admiralty Trilogy wargame system, that includes the long time classic—Harpoon modern naval miniature game. Both Larry and Chris are former U.S. Navy officers. Bret Perry is a graduate of the Edmund A. Walsh School of Foreign Service at Georgetown University. The comments and questions above are those of the author alone and are presented in his personal capacity. They do not necessarily reflect those of any organization. 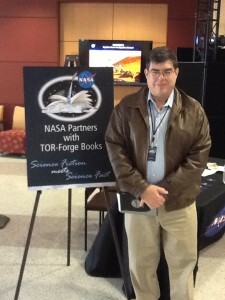 The author would like to express his thanks to August Cole for his assistance with this interview. Featured Image Credit: Battlefield 4 Concept Art Team Robert Sammelin, Mattan Häggström, Eric Persson, Henrik Sahlström, Sigurd Fernström, Electronic Arts. When it comes to the techno-thriller, most defense wonks reminisce about older titles from authors such as Tom Clancy, Dale Brown, and Stephen Coonts as the genre has moved away from its roots. So when I discovered that techno-thriller extraordinaire Larry Bond (read CIMSEC interview the authors here) planned to publish a sequel to his classic novel Red Phoenix on a large-scale Korea war co-authored with Chris Carlson, I immediately became excited. 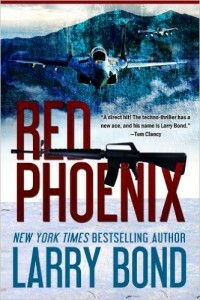 For readers new to Bond, Red Phoenix was his second book, following his collaborative effort with Clancy on Red Storm Rising. It revolved around a massive conventional war in Korea featuring a North Korea invasion of the South and a desperate counteroffensive by the Republic of Korea (ROK) and her American ally. When I picked up Red Phoenix Burning, I didn’t know what to expect. Would it just be a third massive conventional Korean conflict with even more explosions than its predecessor? It turns out that I was only right about the explosions. Red Phoenix Burning takes place in the modern day featuring the notorious Kim Jong-Un regime in power. Even though the Kim regime was removed in Red Phoenix after the ceasefire brokered by Beijing, Bond and Carlson explain how Chinese displeasure with Seoul’s growth and American alignment triggered them to put Kim Jong-Un in power in order to maintain a balanced Korean Peninsula. This, combined with a US administration focused on more pressing conflicts in the Middle East, effectively creates a 2016 geo-political feel. Keeping with what’s believable, Red Phoenix Burning does not open with another massive invasion of South Korea by Pyongyang. Rather, Bond and Carlson focus on the stability (or to others, instability) of the North Korean regime. After an assassination attempt eliminates much of Kim’s inside circle (who is shortly finished off afterwards in a brutal manner), civil war emerges in North Korea featuring three sides: loyalists to the Kim regime, the Korean People’s Army (KPA), and Workers’ Party of Korea (WPK). The obvious loser: the people of North Korea. The way Bond and Carlson set up and present this three-sided civil war is one of the most interesting aspects of the novel. To many, including this reviewer, the Hermit Kingdom’s secrecy and propaganda make it hard for normal observers to identify the different power structures driving the Kim regime. The authors of Red Phoenix Burning fill this gap and provide a tremendous amount of insight as they describe the strengths and weaknesses of the three factions. 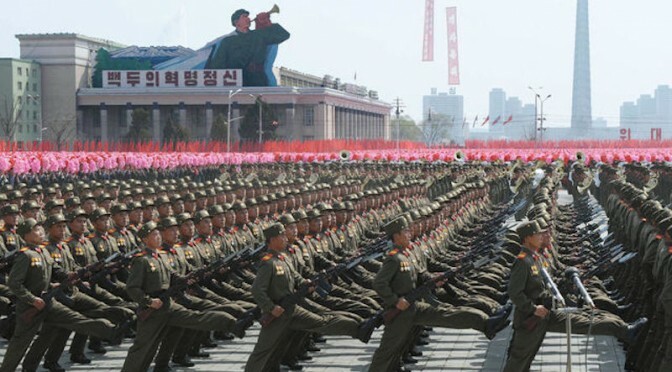 One would expect for the KPA to easily sweep control with its military resources, but the WPK’s numbers and extensive involvement throughout North Korean society make them a formidable opponent. Loyalists to the Kim regime are nearly just as threatening due to their access to the state’s chemical and nuclear weapons of mass destruction (WMD). As a result, clashes endure, only creating more causalities and a worsening humanitarian catastrophe. Meanwhile, less than a couple hundred miles to the south, South Korea is trying to determine not only what is going on, but what they should do. At first, Seoul launches a couple of thrilling special operations forces reconnaissance missions into North Korea, but eventually decides to initiate a full scale invasion to achieve something very close to the hearts of the Korean people: reunification. As North Korean forces are bogged down in a civil war, the South Korean military is able to push north quickly and easily outmaneuver what remnants of the KPA try to defend their territory. Seoul’s American ally provides limited intelligence and humanitarian support as movement north of the demilitarized zone (DMZ) would trigger Chinese military intervention. Nevertheless, the prospect of bordering a unified Korea led by Seoul and the uncertainty surrounding the former Kim regime’s WMDs force the Chinese to intervene. Like the South Koreans, the PRC’s military invasion faces minimal resistance and turns into a race to seize as much territory as possible. The US is forced to react and begins pressuring Chinese interests in both the Yellow Sea and South China Sea, but is hesitant to escalate the conflict and potentially start a third world war. Without revealing the ending—what’s left of the KPA command recognizes that a Chinese occupation would ultimately prevent reunification and attempts to reach a ceasefire with the WPK in order to ally with the ROK. More importantly, the firing of SCUD missiles by Kim loyalists reminds all factions of the risks of North Korea’s scattered and destructive WMD arsenal. As the aforementioned plot illustrates, Bond and Carlson do an excellent job with creating a believable geopolitical environment. Their defense expertise, wargaming experience, and extensive research allows them to color in well-written military engagements—most notably the urban assault on Pyongyang. But unlike some of Bond’s previous titles that revolved around epic conventional conflicts (such as Vortex—this reviewer’s personal favorite), Red Phoenix Burning is not a novel purely focused on the military dimension of another flashpoint crisis-turned-war. Rather, Bond and Carlson place a greater emphasis on political factors such as US-PRC relations, the ramifications of a North Korean humanitarian crisis, America’s reluctance to dive into a Korean crisis due to more pressing Middle East engagements, and how the world’s superpowers treat North Korea’s WMDs. Although this entails fewer scenes featuring first person accounts of tank battles and naval engagements, it creates a more plausible environment that readers can buy into and envision as a potential future scenario for the Korean peninsula. Even though Red Phoenix Burning features less battlefield action than some of Bond’s previous novels, it demonstrates how fiction can better help us understand the most significant geopolitical ramifications of the collapse of the Hermit Kingdom. Although readers might have appreciated some maps accompanying the military engagements, Red Phoenix Burning is a solid book for defense professionals eager for some fiction, and a must for those interested in the Korean Peninsula. For readers, Red Phoenix Burning will keep you entertained while feeding your intellectual curiosity. The Republic of Korea Navy: Blue-Water Bound? Defence Reform Plan 2020 (DRP2020), originally set out in 2005 by the Republic of Korea’s (ROK) Ministry of Defence, presents an ambitious vision for future military capabilities. For the Army, this will mean personnel reductions – specifically a total drop in troop strength from 690,000 in 2005 to 500,000 by the end of 2020 – in an effort to promote a more modern, professional force. For the Republic of Korea Navy (ROKN), meanwhile, this has meant a shift in the focus of procurement projects so as to attain the status and prestige of a ‘blue-water navy’. In other words, the ROKN will seek expeditionary capabilities, operating across the deep waters of the open oceans, rather than concentrating on its traditional role of securing South Korean littorals against intrusion by the military forces of the Democratic People’s Republic of Korea (DPRK) or foreign fishing vessels. But is such a shift from a green-water navy to blue-water possible? Furthermore, is it desirable, given the ROK’s strategic situation? To understand the evolution of this still relatively young navy, it is worthwhile consulting a resource compiled by another regional partner. Particularly valuable insights can be found in a paper produced for the US Naval War College in 2010, entitled “The Emerging Republic of Korea Navy: A Japanese Perspective,” by (retired) Vice Admiral Yoji Koda, who formerly served as the Commander-in-Chief of the Japan Maritime Self-Defence Force and interacted considerably with his ROKN counterparts from 1997 onward. VADM Koda briefly charts Korean naval history, starting from actions of Yi Sun-shin at the Battle of Myeongnyang in 1597 that thwarted a Japanese invasion, but his accounts of force modernization and expansion efforts by the ROKN since the 1990’s are the most detailed sections of the paper and will be of most interest for readers wanting to know what role the ROKN might play in the increasingly complex security order of the 21st century Asia-Pacific. VADM Koda highlights two concerning capability gaps faced by the present-day ROKN: anti-submarine warfare (ASW) and mine countermeasures (MCM). On the first point, although the ROKN maintains a robust force of fast patrol craft to counter clandestine intrusions by North Korea, “the ASW posture of the ROKN still remains questionable today, in relation to the perceived threat of North Korean submarines and the geopolitical nature of the country.” Despite evidence suggesting that the Pohang-class corvette ROKS Cheonan was sunk in March 2010 by a torpedo launched by a North Korean submarine, there have been no compelling efforts by the ROKN to shore up its ASW capabilities. Perhaps the only saving grace for ROKN ASW has been, according to VADM Koda, the acquisition of three ASW-capable Gwanggaeto the Great-class destroyers in 1998-2000 and a small fleet of Westland Lynx helicopters. Though the ROKN is not without its own submarines – specifically four Sohn Won-yil diesel-electric submarines and nine Chang Bogo-class diesel-electric submarines – these are geared toward anti-surface warfare (ASUW). The ROKN’s MCM capability has also been diminished by the decommissioning of coastal minesweepers donated by the United States following the Korean War. At the time of VADM Koda’s writing, the ROKN minesweeper fleet consisted of only three Yangyang-class coastal minesweepers and six Swallow-class coastal minehunters, which he deemed “not yet sufficient for the current security and military situation around the peninsula”. However, the ROKN seems to have recognized this vulnerability to the DPRK’s own doctrine of asymmetric warfare; in 2015, the ROKN launched the first vessel of the Nampo-class, a domestically built minelayer, and plans are in place to produce several new minesweepers based on the design of the Yangyang-class in the coming years. Even so, the ROKN could not solely carry out an MCM role in a future conflict on the Korean Peninsula – VADM Koda identifies the Tsushima Strait as vital to the logistics of any multilateral response to North Korean or Chinese aggression against the South. Unfortunately, no formal agreement currently exists between the Japanese and ROK authorities about conducting combined military operations, which would be crucial to ensuring a clear division of labour on MCM, with the ROKN securing the western end of the Tsushima Strait and the Japan Maritime Self-Defence Force (JMSDF) locking down the eastern channel. This stems from several ongoing political disputes between Japan and the ROK, including the status of Tsushima Island (known as Daemado Island in the ROK). The dispute over the island has persisted since 1948 and shows little sign of reaching a final resolution. Korean Ship sails in formation at the end of Exercise Rim of the Pacific (RIMPAC) 2006. The ROKN has demonstrably obtained blue-water capabilities. 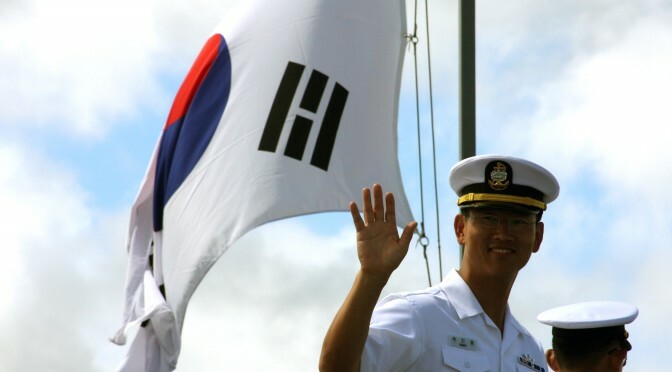 As the paper notes, ROK President Lee Myung-Bak approved the establishment in 2009 of the Cheonghae Anti-Piracy Unit and its deployment to the Gulf of Aden in support of Combined Task Force 151. A few months later, the ROK joined the Proliferation Security Initiative. New, domestically built surface combatants, such as the Sejong the Great-class destroyers and Incheon-class frigates, possess impressive capabilities and the capacity to project South Korean power beyond the country’s coastal waters. The ROKN has also succeeded in expanding its amphibious capabilities, particularly through the commissioning of its first Dokdo-class amphibious assault ship in 2007 and the replacement in 2014 of aging US-transferred landing ships with the new Cheon Wang Bong-class. VADM Koda interprets this interest in amphibious capabilities as a reaction to the “bitter experience” obtained when the ROKN “found itself unable to participate sufficiently in the multinational relief operations on northern Sumatra, in Indonesia, after the earthquake and tsunami in December 2004”. In short, while the paper cites ample evidence to believe the ROKN is on course to become a blue-water navy (and perhaps already has), the country’s policymakers and defence planners should pay more thought toward the objectives they wish their maritime forces to fulfill. Boasting the blue-water label and participating actively in humanitarian operations abroad may benefit national prestige, but North Korea remains a paramount security threat. It is clear that the ROKAF assesses its own capabilities as so vastly superior to their DPRK opponents that another attempted invasion of the South would be impossible, and this can be seen in the ROKN’s focus on the quality of landing craft over quantity. But the sinking of the ROKS Cheonan demonstrates that the ROKN ignores ASW and MCM capabilities at the peril of its brave sailors. Paul Pryce is Political Advisor to the Consul General of Japan in Calgary and a long-time member of the Center for International Maritime Security (CIMSEC). He has previously written as the Senior Research Fellow for the Atlantic Council of Canada’s Maritime Nation Program. The Royal Thai Navy: Where to Post-Coup? Although often overlooked by most reports in favor of the contributions made by the Chinese and the Russians in years since, Thailand was an important player in counter-piracy efforts in the Gulf of Aden. In response to an increase in Somali-based piracy, Combined Task Force (CTF) 151 was established in January 2009 to secure freedom of navigation along international shipping routes in the Gulf of Aden and Indian Ocean. Although comprised largely of vessels and crews from NATO member states, Thailand deployed a Pattani-class off-shore patrol vessel and a supply ship to join the force in 2010-2011. This was an unprecedented move. For the first time, Thailand deployed military assets abroad to defend its interests. HTMS Pattani and HTMS Similan, the supply ship, did not simply serve in token roles: Thai forces engaged in combat against pirates in two separate incidents on October 23rd, 2010. Beyond hosting ASEAN-related events, such as the 8th ASEAN Navy Chiefs’ Meeting in 2014, the Royal Thai Navy has since adopted a much more subdued posture, however. This can in part be attributed to the political dominance of the Royal Thai Army through last year’s coup. Were there to be need for Thai participation in a similar multinational operation in Southeast Asia or elsewhere in the world, it is doubtful that the Thai authorities would find the political will to deploy any assets in the near future. But the Royal Thai Navy will soon see its capabilities bolstered. If national unity can be preserved in some way, Thailand could see its international image raised considerably. 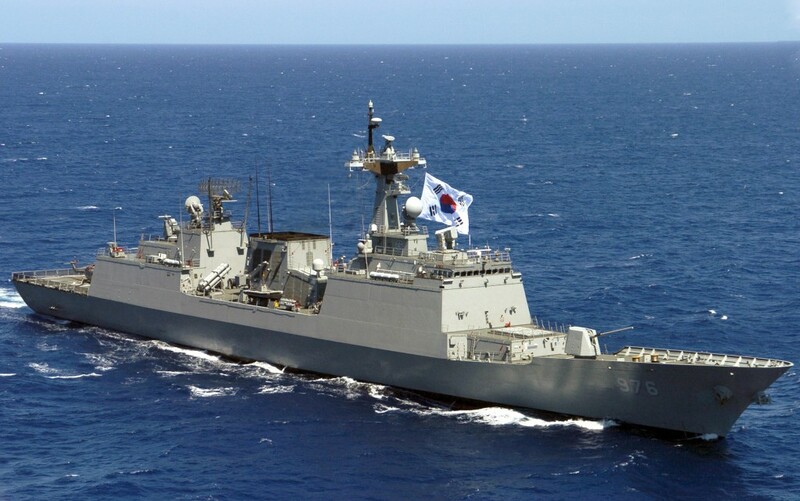 It has commissioned two stealth-capable corvettes based on the design of the Republic of Korea Navy (ROKN) Gwanggaeto the Great-class destroyers. With a displacement of approximately 3,900 tons, these would be among the largest vessels in Thailand’s arsenal, second only in size to the Royal Thai Navy’s two American-made Knox-class frigates. Although it is currently unclear when Thailand expects delivery of its two Gawnggaeto the Great variants, the eventual addition of these vessels to the fleet will greatly enhance its capacity to project power in the Gulf of Thailand, South China Sea, and beyond. Thailand has no maritime disputes with China; tensions over territory exist only in relation to the land borders with Cambodia and Laos. As such, it is a reasonable assumption that the previous government intended to employ the new vessels not to exert Thai sovereignty, but to appease military elites and to attain international prestige through contributions to future multinational maritime operations. That the current junta has not cancelled this procurement suggests that it too shares these goals. Of course, achieving the political stability necessary to engage in expeditionary missions will be a tall order, especially as legal action against Yingluck Shinawatra, Thailand’s former Prime Minister who was ousted in the May 2014 coup, is ongoing. Until such issues can be resolved and civilian oversight of the military is adequately restored, HTMS Chakri Naruebet, pictured below, may represent the future of the Royal Thai Navy. HTMS CHAKRINARUEBET in the South China Sea. 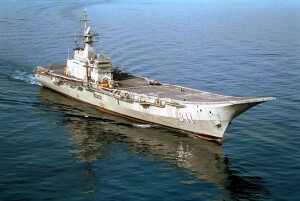 This vessel, which serves as Thailand’s flagship and is based on the design of the Spanish aircraft carrier Principe de Asturias, spends much of its time docked at Sattahip naval base. No longer able to accommodate Harrier airframes, the Chakri Naruebet can now carry a small complement of helicopters and occasionally serves as a royal yacht. The two stealth corvettes may suffer a similar fate if Bangkok’s palace politics persist. Paul Pryce is a Research Analyst at the Atlantic Council of Canada. With degrees in political science from universities in both Canada and Estonia, he has previously worked as a Research Fellow at the OSCE Parliamentary Assembly and an Associate Fellow at the Latvian Institute of International Affairs. His research interests are diverse and include maritime security, NATO affairs, and African regional integration.